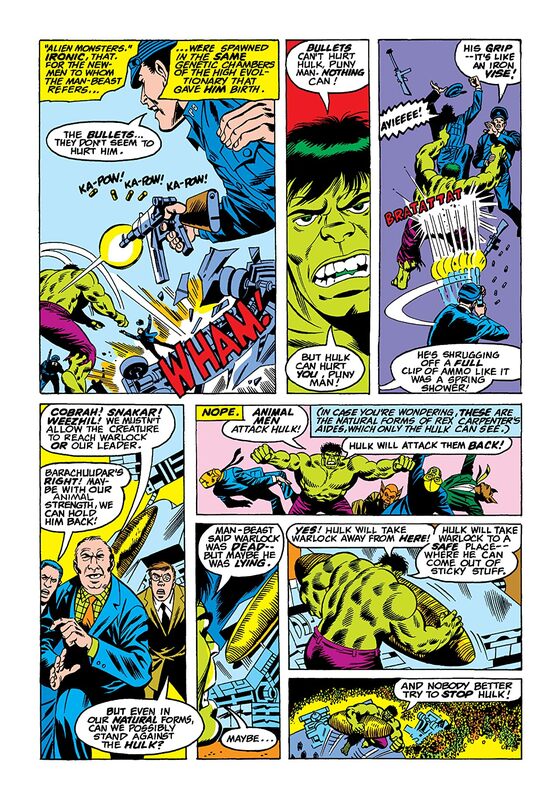 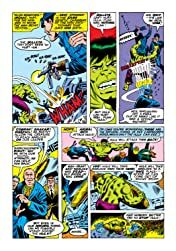 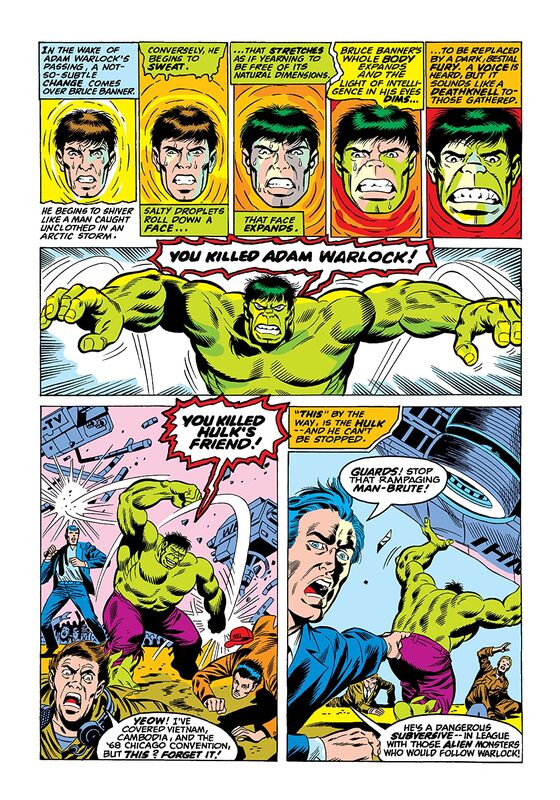 Hulk is reverted back to Bruce Banner by an act of brute force. 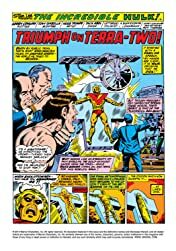 Banner can only watch in horror as the Counter-Earth battle rages on in D.C. Who is the madman posturing as President of Counter-Earth? 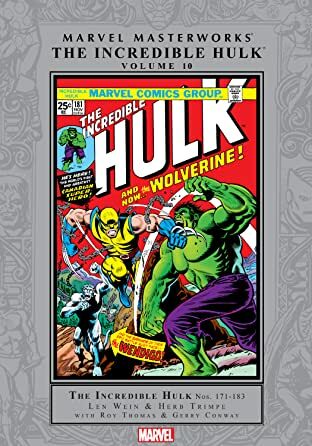 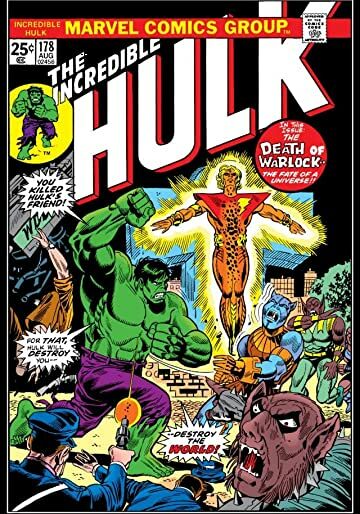 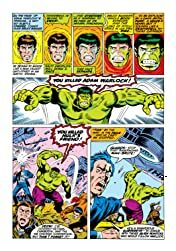 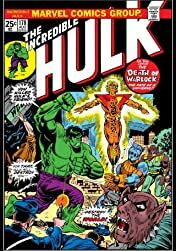 And will Hulk be able to save his friend Adam Warlock from certain execution?